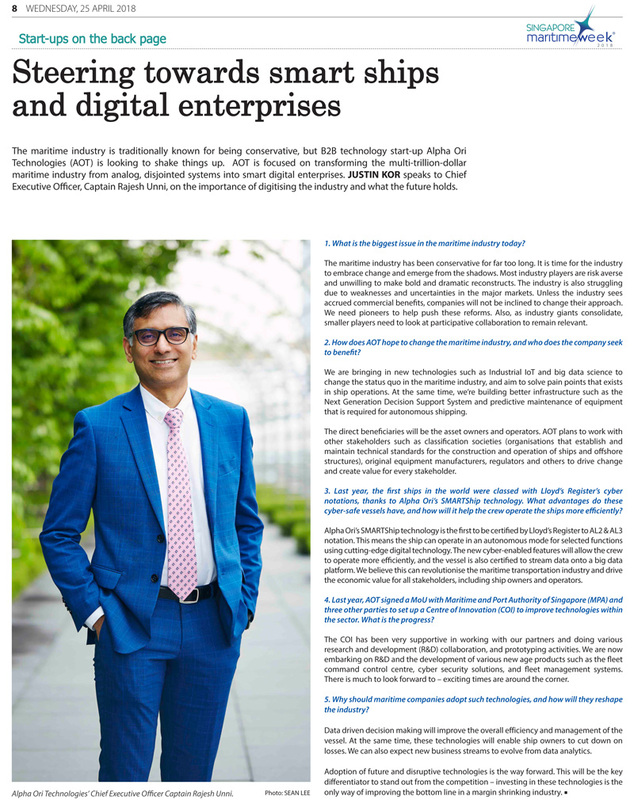 Capt Rajesh Unni’s B2B technology startup Alpha Ori Technologies has been featured under the “Start-ups on the Back Page” section of Singapore Maritime Week 2018 Daily Review. He is also one of the speakers of the prestigious event that is driven by the Maritime and Port Authority of Singapore, Singapore Maritime Week. The event gathers the international maritime community for a week of flagship conferences, dialogues, exhibitions and social events in celebration of all things maritime. The range of activities and events organised by MPA, industry stakeholders and research and educational institutions, as well as the cosmopolitan profile of participants, reflect the vibrancy and diversity of Singapore as a global hub port and leading international maritime centre. The maritime industry is traditionally known for being conservative, but B2B technology start-up Alpha Ori Technologies (AOT) is looking to shake things up. AOT is focused on transforming the multi-trillion-dollar maritime industry from analog, disjointed systems into smart digital enterprises. 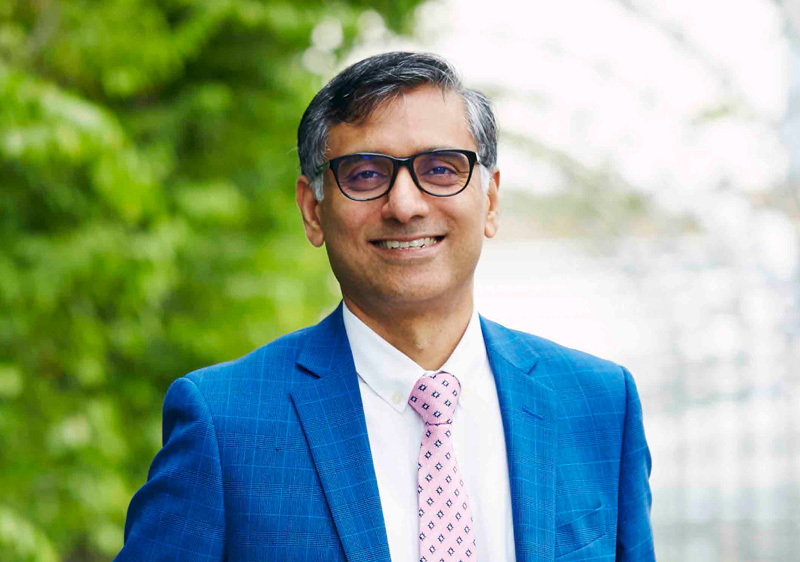 JUSTIN KOR speaks to Chief Executive Officer, Captain Rajesh Unni, on the importance of digitising the industry and what the future holds.